In our pie crust taste test, will butter, shortening, lard, or margarine reign supreme? We all need a good dose of nostalgia. When Mallomar season and pie season converge, Mallomar Pie is your best choice. Your favorite candy just got pie-ified. The perfect pie is within reach. Of your mouth. Oh, what a week it's been. This year, make your pie the star of the dessert table. Lindsey Love from Dolly and Oatmeal's gluten-free recipe will ensure that all your guests can enjoy pie this holiday season. Jodi Moreno of What's Cooking Good Looking shares one of her favorite autumn pies. A delightful new take on apple pie just in time for the holidays, cortesy of Erin Mcdowell. Not as sweet and spiced with chai -- this pumpkin pie recipe is new classic. Molly Yeh shares her recipe for mini chicken pot pies. Our pie's in the sky. The ingredients for your Thanksgiving pie are already in your pantry. Why should sweet pies get to have all the fun? We've rounded up our favorite #F52Grams of the week. Because we finally got a piece of the pie. Summer fruit pies, take note. 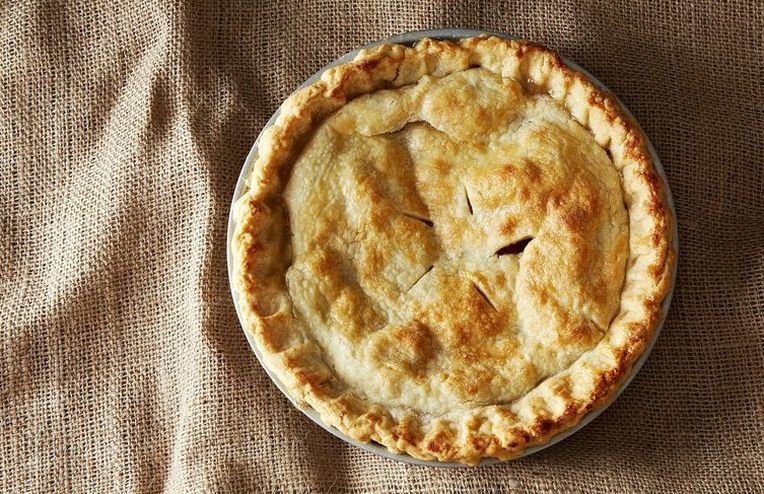 All the ways to blind bake a pie crust.